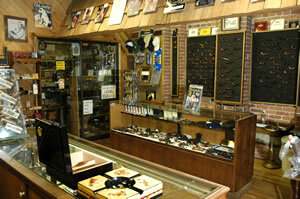 Tobacco World is a small haven for the cigar and tobacco enthusiast! Founded in 1974 during Spokane’s World Fair, this family owned little shop is Spokane’s oldest and best-stocked tobacco supplier. Their walk in humidor offers a wide selection of cigars and just the perfect stogie to entice any smoking enthusiast. 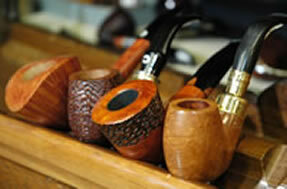 The store carries a nice assortment of loose-leaf tobaccos and over 120 mid-range pipes. If you are looking for a Meerschaum pipe, you will find it here along with blender pipes (allowing you to smoke more than one blend of tobacco at a time). From cigarette cases to drinking flasks, many other smoking accessories line the shop. Tobacco World also features a large selection of foreign cigarettes, such as Dunhills, Djarum, Ecstacy and Turkish Specials. Tobacco World is one of the few independently owned, truly American, tobacco shops left. Excellent customer service and a knowledgeable staff help you find just what you need. If you like a quality smoke don’t miss this little shop conveniently located in the old Flour Mill on the north bank of the Spokane River….right downtown!